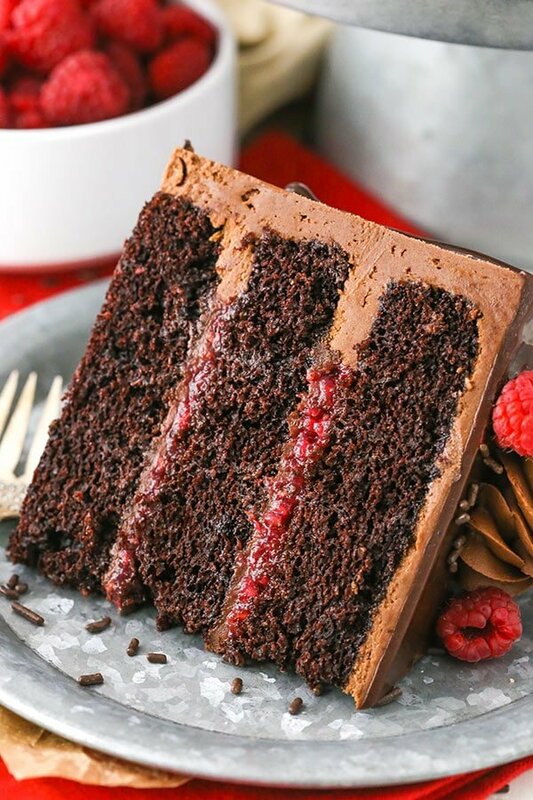 This Raspberry Chocolate Layer Cake is super moist and layered with smooth chocolate ganache and raspberry filling, all covered in a fudgy chocolate frosting! It’s rich, full of chocolate and heavenly! So getting out and about with two babies is no easy task and I desperately needed to make a grocery store trip yesterday. The hubs was working so my mother-in-law watched Ashton while I took Brooks on his first trip to the grocery store. It wasn’t the best day for our first trip, since it was raining, but we made do. The first thing I noticed after putting his car seat in the grocery cart is where in the world do you put the groceries?! I was shopping for both regular food and baking ingredients, so it was a big trip. By the time I was halfway done, the cart was overflowing. Brooks was quite unhappy when a package found its way towards his foot. I finally just checked out, took it all to the car and made a second trip for the last few things. How is it that nobody has a good shopping cart for moms with babies yet? 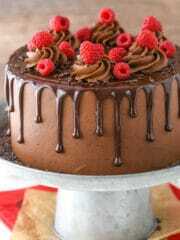 And one day he will enjoy cakes like this one. This is a cake I’d been dying to make at the end of my pregnancy and it just couldn’t quite make happen. So it ended up being my first cake postpartum! I’ve been so excited to share it with you! The cake base is my favorite chocolate cake! Insanely moist and SO chocolatey! 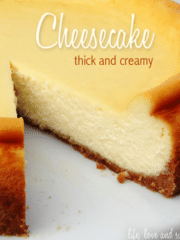 Don’t be alarmed by the thinness of the batter or the low bake temperature. It’s all correct and gives the best cake. 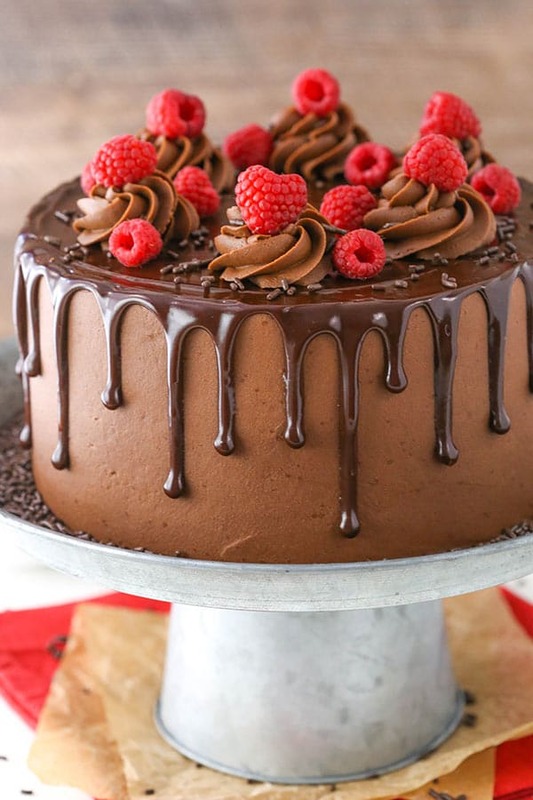 The filling is a combination of a layer of chocolate ganache and homemade raspberry filling. The ganache gives a little fudgy factor and the raspberry adds a little tart to the sweet. Amazing! And then the frosting is made with loads of melted chocolate, making it nice and fudgy and giving it the best flavor and texture. It just about melts in your mouth. The whole combination is out of this world good! I can’t wait for you to try it! 1. Combine the sugar, cornstarch and water in a medium-sized saucepan over medium heat and stir to combine. Heat until the mixture is wet and the sugar begins to melt. 2. Add the raspberries and stir to coat with the sugar mixture. 3. Continue to cook until the raspberries start to soften and let out juice. Use your spatula to mash the raspberries. 4. Remove from heat when raspberry juice has begun to thicken, after about 5 minutes. Pour the mixture into another bowl and refrigerate until cool. 5. Preheat oven to 350°F (176°C) and prepare three 8 inch cake pans with non-stick baking spray and parchment paper in the bottom. 6. Add the flour, sugar, cocoa, baking soda, baking powder and salt to a large mixer bowl and combine. Set aside. 7. Add the milk, vegetable oil, vanilla extract and eggs to a medium sized bowl and combine. 8. Add the wet ingredients to the dry ingredients and beat until well combined. 9. Slowly add the hot water to the batter and mix on low speed until well combined. Scrape down the sides of the bowl as needed to make sure everything is well combined. 10. Divide the batter evenly between the prepared cake pans and bake for 22-25 minutes, or until a toothpick comes out with a few moist crumbs. 11. Remove cakes from oven and allow to cool for 2-3 minutes, then remove to a cooling rack to finish cooling. 15. Add about half of the powdered sugar, salt and half of the heavy cream and mix until well combined. 17. Add the remaining heavy cream as needed to get the right consistency of frosting. 18. Add the chocolate chips to a medium sized bowl. 19. Heat the heavy whipping cream in the microwave until it just begins to boil. Keep an eye on it because it happens quickly. 20. Pour the hot cream over the chocolate chips and let it sit for 2-3 minutes, then whisk until smooth. Set aside. 21. To layer the cake, first use a large serrated knife to remove the domes from the tops of the cakes so they are flat. 22. Place the first cake layer on a serving plate or on a cardboard cake circle. 23. Pipe a dam around the outside of the cake layer with some of the chocolate frosting. 24. Spread about 1/4 cup of chocolate ganache on top of the cake, in the center of the dam. 25. Drop spoonfuls of the raspberry filling over the chocolate ganache and then spread into an even layer. 26. Add the second layer of cake, then repeat steps 23 thru 25. 27. Add the third and final layer of cake on top. 28. Frost the top and outside of the cake with the remaining chocolate frosting. 29. Use the remaining chocolate ganache to drizzle chocolate around the edges of the cake, then fill in the center. If the ganache has gotten a little firm from sitting, just reheat for a few seconds until pourable again. 30. Pipe swirls with the remaining chocolate frosting around the top of the cake, then decorate with additional raspberries and chocolate sprinkles, if desired. Refrigerate the cake until ready to serve. The cake is best when served at room temperature and holds up well for 4-5 days when well sealed in an air tight container. *You’ll need about 2 pints of raspberries for the filling and decor. Your cakes are so beautiful! I wish you would do a video sometime. I’ll love to see the step by step of how you do it so I can learn. They’re pure perfection! Thanks Julie! Is there a particular part of the decorating process you’d like to see. I have a tutorial and video of how I frost them smoothly here. And then there are various cakes with video where you can get an idea of how I do things. I hope that helps! If you have a specific request, I can try to make it happen some time. Oh wow, I didn’t see those! Thanks so much…I’ll check them out. I made the chocolate frosting the night before. Can I store it in the refrigerator and use on my cake the next day? Definitely! Just let it come to room temperature before using it. Love the recipe! Curious if it would mess with the layering of the cake at all if I used a silicon heart shaped mold? It is meant to hold 1.6qt of liquid/batter. I haven’t used a silicon mold before with a cake- but Valentine’s Day is around the corner! Could strawberries be substituted for raspberries? In theory yes, but you’d probably want to make the filling a little differently. I’d suggest pureeing the strawberries before adding them and increasing the cornstarch to 1 1/2 tablespoons. Then I’d cook the mixture and let it simmer a bit – for probably 8-10 minutes. The strawberries have more water in them, so you’re adjusting for that. 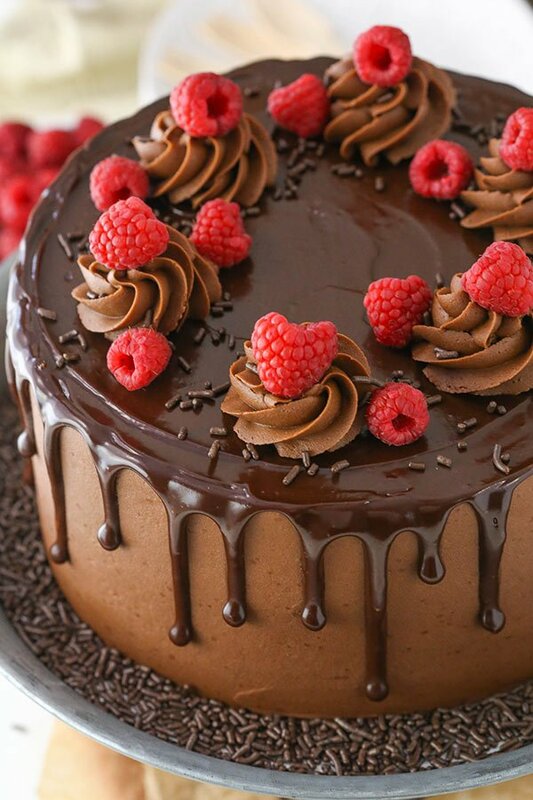 chocolate and raspberries. This will be her birthday cake! 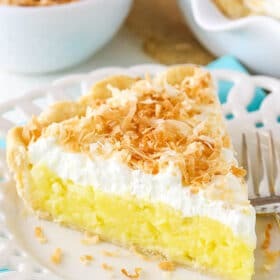 I enjoy baking and sharing these wonderful desserts with the family. Thanks for sharing with us, Lindsay! Blessings for the day!!!! Thanks so much Suzy-q! I hope she enjoys it! First and foremost congratulations on your beautiful baby boys. Such a blessing. 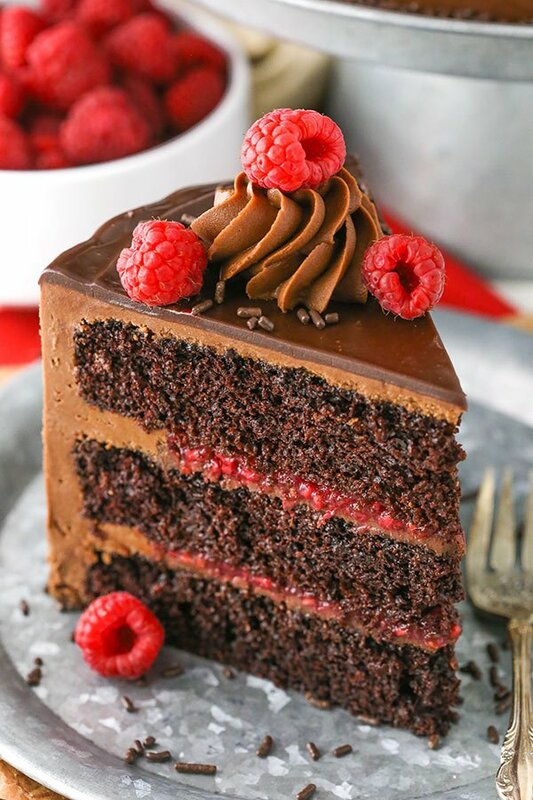 Chocolate and raspberry is one of my favorite cake flavors. This cake could not be more beautiful. If I wanted to use raspberry jam as a shortcut how much jam do you recommend I use? Thank you, Angela! I didn’t measure exactly how much went between the layers, but I’d guess it’s roughly 1/2 to 3/4 of a cup per layer. Love this recipe.. I am going to make it in a sheet pan and give it to the mission here in town. I make 4 or 5 desserts and 10 loaves of bread each week for them.. this will be a good one. Thanks for all your recipes… They are so great. That’s awesome! I hope everyone enjoys it! Thanks Gail! OMG Lindsay! This looks amazing. I was wondering if you the chocolate ganache works over a whipped cream frosting or does it only work for buttercream? Thanks so much! Thank you so much for the reply! Hope all is going well with your little bundles of joy and that you’re getting some sleep!! I was at the grocery store this morning and noticed these carts with car seat docks. Try to convince your local store to get them. How interesting! I’ve never seem them before, but the site says our local store has them. I’ll have to ask next time. Thank you! Thank you so much! So glad you enjoy them! I used 8×2 inch pans. This is the most beautiful cake I’ve ever seen. Can you make it without vanilla? I made your lemon cupcakes with them and they turned out fine. Thanks so much for sharing this chocolaty goodness with us! Thanks Mercy! If you wanted to leave out the vanilla extract, you could. Hello how do you do the drizzle of chocolate ganache for the top. I am planning to make your chocolate berry cake for my husband’s 30th birthday. I use a squeeze bottle to drizzle it around the edge. If gives you nice control over the flow of chocolate. Can buttermilk be used instead of milk? I haven’t tried it with this cake to say for sure. My two favorite things!! 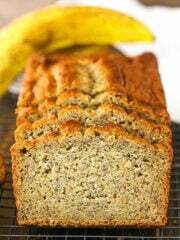 I will try making this gluten free!! ???????? can we substitute eggs with anything else ?? I’m not really familiar with using egg substitutes, I’m sorry! I haven’t tried it with frozen raspberries. I’d try using the same amount, just be sure to defrost and pat them dry so you don’t add a lot of extra water. Your cake looks delicious! Definitely want to try it for my hubby birthday. Wanted to know if I can substitute the choc chips with dark chocolate? Yes, dark chocolate chips should be fine. I’ve just made the cake (only the biscuit) but the result was a disaster! It tastes horrible, I can feel the flavour of the baking soda and I cant handle it. I had to throw it away. Maybe your recipe has too much baking soda? The cake looks delicious in the pics but my results, following your recipe step by step tastes not good. Sorry! Are you quite sensitive to baking soda normally? I’ve made this chocolate cake many times and never gotten that feedback before. I’m sorry you weren’t happy with it! HI, I want to make this cake but I only have loose bottomed tins is the mixture very runny? It’s a pretty thin batter, but if your pan is really leakproof it should be ok. Thank you, I will try with my tins because it’s a beautiful cake. Es una crema líquido semi-espesa sin endulzar. En Mexico usamos la media crema de Nestle como substituto. Ojalá te sirva la información. I plan on making this tomorrow. If I don’t include the filling, do I still need to refrigerate? Thanks! Would you be leaving out both the raspberry and chocolate filling? If leaving out just the raspberry and keeping the chocolate, it should be fine at room temperature for about 24 hours. Longer than that and I might refrigerate it. Just a point of clarification. In the ganache it says to use 9 oz of chocolate chips. It says that equals 3/4 of a cup. But one cup of chocolate chips is 6 oz. So do we use 9 oz which is a cup and a half or the 3/4 cup? Great catch! Sorry about that! The 9 oz is correct, which is 1 1/2 cups. It’s been updated. Thanks! 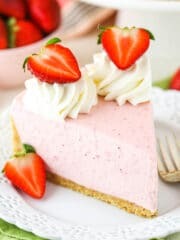 I love this recipe and wish I could make it for my mother who loves raspberry! I gave up baking anything layered 🙁 it seems like every time I make the frosting it is like CoolWhip :/ kinda runny and doesn’t hold the layers. Just squashes out. So I’ve been sticking to cupcakes. Is there a way to transform this into cupcakes stuffed with the raspberry?? Or if you have any tips on the icing that would be great!! Thank you. Love your page! 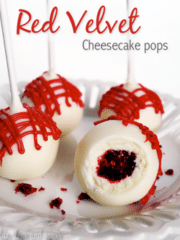 You could make them as cupcakes and use the raspberry filling in the centers. Maybe just leave out the chocolate ganache part of the filling. If you’d like to try out the cake though, here’s a post on frosting consistency that might be helpful. I can’t wait to make this! I think that Chambord would be delicious to add! I see you that you use a hand mixer for your frosting instead of a stand mixer, does it make a difference? I am trying to make smooth frosting, I have both just wondering what will give me the best result. I actually use a stand mixer. The video production company I use for videos uses the hand mixer. However, I’ve used both and both will work just fine. Wonderful! So glad to hear you enjoyed it and found the recipe and video easy to follow! Thanks so much Mary! Yes, that’d be fine. The ganache will firm up a bit, but it’ll still be soft enough. 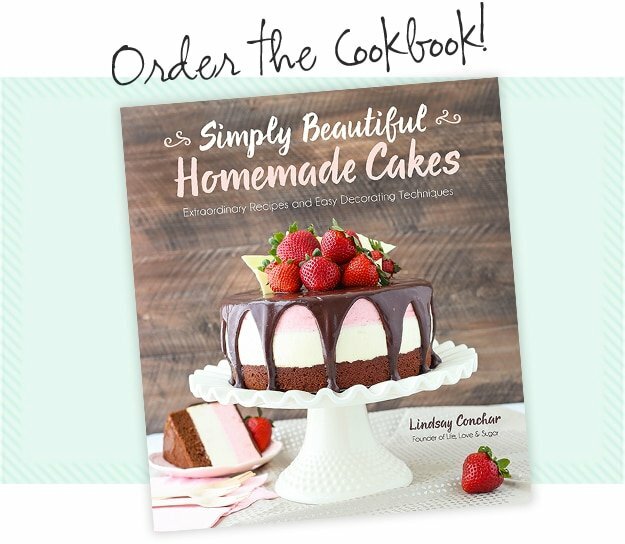 Your cake looks gorgeous, can’t wait to try out this recipe! I was wondering – would you recommend substituting hot water with hot coffee? You could certainly do that. I know a lot of people think it brings out the chocolate flavor. This is going to sound odd, but I made this for my own birthday! Haha! And I was skeptical as I’m still a bit of a novice when it comes to baking. But oh my lord did this cake turn out wonderful!! Not three tiered and not as pretty as yours, but I fam proud of this! What a great recipe. THANKS!! Wonderful! So glad you enjoyed it and happy belated birthday! I made this cake today, very delicious. I only tweaked the raspberry filling. I pureed it in the processor, then pressed it through a strainer (I don’t care for the seeds). Other than that, all was perfect. Love the recepie! Will try it out this weekend. I have a doubt though, how much fat does cream have to have to be considered “Heavy whipping cream”? Where I’m from they are called differently, and I want to make sure I’m getting the right cream. Thanks! I believe heavy whipping cream has about 36% fat. I’d say they are roughly 1 1/2 inches. Sounds about right. Taking off 1/2 an inch for leveling though seems like a lot. Hi, I can’t wait to make this cake for my daughters 21st birthday next weekend as it’s all her favourite tastes rolled into one! But I’m a little pushed for time and wondering if the cake layers could be made in advance and frozen for 2 days. 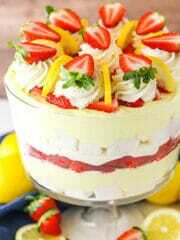 Have u ever successfully frozen this cake recipe? Yes, that should be fine. The cake layers are very moist and should hold up well. I’d just suggest wrapping them well before freezing and thawing in the fridge. INCREDIBLE! This was my first layered cake and it came out amazing! The flavors are rich and the combination with the fresh raspberry filling taste just beautifully. My brother noted that the frosting had a nice salt aftertaste, very different and delicious from any other frosting I’ve had. A glorious recipe, I will definitely be making this again! I’m so glad to hear that! Thanks Bernadette! Question where you list the ingredients it says 22 Tbs double creme is this the same as heavy whipping cream? I don’t see anywhere that I list double cream. I’m not sure I understand your question. can i use strawberry preserves instead of fresh raspberry? 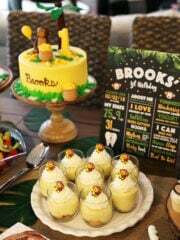 im a beginner and i find your recipes very detailed and i want to do this for my youngest daughters bday. thanks in advance! I would think that’d be fine. I hope you enjoy it! Hi Lindsay, where did you purchase your 8×2 pans from? I’ve made several of your cakes before but would like to upgrade to leakproof pans. I use Wilton brand pans. Can the flour be replaced with gluten free flour? I’ve heard of people having success so I think it would be fine. The powdered sugar is necessary for the right consistency. You could reduce it a little and then add more if needed for consistency. Check out my post on frosting consistency for some tips! I am a home baker and made this recipe for my mom’s birthday yesterday. It is in fact my favorite kind of cake! I ran into just a few issues: let your ganache set in between layers or cool the ganache more before hand or the layers will slide. Other than a few momentary slides before it went to cool in the fridge this cake was a big hit! My family loved it. How do you think this would be with a dark chocolate cream cheese frosting? I’ve not tried that before, but it could be tasty! I just love your cakes! They are beautiful and delicious! This is my second one, and the cake seemed really soft. We haven’t tried it yet but I bet it’s delicious! I had a problem with the frosting though. I followed the recipe exactly like it is written and the frosting seemed to be fluffy and soft. It was easy to spread, but once i stored the cake in the fridge, the frosting became hard, almost fudge-like! I am really bummed! I wanted it to be soft when we cut it and eat it! What went wrong? And what is the right frosting consistency? Thank you for sharing your amazing recipes! I’m so glad to hear you enjoy the cakes! It actually sounds correct. Because of the melted chocolate in the frosting, it gets fairly firm in the fridge. If you prefer a softer texture for serving, I’d let it sit out at room temperature a bit before cutting it. You could also make a more traditional buttercream, if you prefer. I did take the cake out of the refrigerator for a few hours before cutting it. The frosting was soft and delicious! And the cake was to die for! Everyone raved about it! Thank you again for sharing these amazing recipes and for all your help! I’m taking it that the 1 cup of water goes in with the wet ingredients when making this cake, right? Can’t wait to try it but I’m not much of a baker so I don’t want to do something wrong. First add the wet (not including the water) ingredients to the dry ingredients and beat until well combined. After the wet and dry ingredients are combined, slowly add the 1 cup of hot water to the batter and mix on low speed until well combined. Delicious! Super duper rich…I should have cut smaller slices. But so good! Hola Lindsay hice esta receta solo la del pastel de chocolate y es la mejor que he probado en mi vida. El pan queda súper húmedo, esponjoso, muy sabroso. La modifiqué un poco lo que es el bicarbonato, el polvo de hornear y en lugar de la leche le puse buttermilk, lo rellené con dulce de leche y quedó riquísimo todo el mundo tenía que ver con el pastel. Muchas gracias por compartir esta receta tan rica, saludos desde Costa Rica ???????? I’m very excited to make this cake! Just wondering if the raspberries filling can be made in advance? And how long would it be ok for? It should be fine to make in advance. I think about a week would be ok.
How sweet is the frosting, or the overall? I want to make it for a kids birthday party and don’t want it to be overly sweet. Thank you! I would probably say that it’s fairly sweet. But not overly sweet, in my opinion. That’s going to be subjective though. I can’t stand raspberry seeds BUT I love raspberries!!! Can I put the filling thru a sieve after removing it from the heat to remove seeds? Yes, you can. 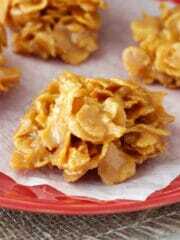 It does reduce the volume of the filling though, so you might want to make a little more. WOW this cake is amazing! 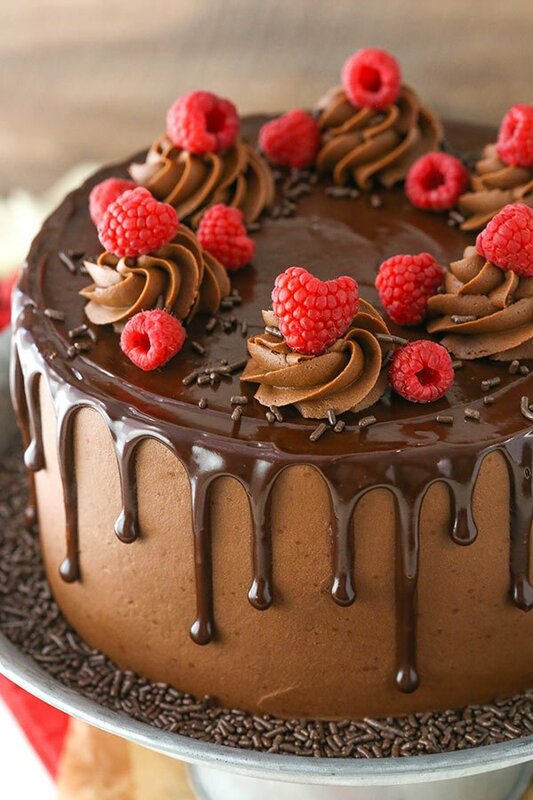 I love chocolate and raspberry together! Can’t wait to make this cake! It looks amazing, will be making it for New Year’s Eve dinner. Question: I know you used 8 inch pans. I only have 9 inch. Would that be a problem? Presumably they will be a bit thinner and might require less cooking time? Would you recommend sticking with 8 inch? Nine inch pans should be fine. Like you noted, you’ll just need to adjust the baking time. 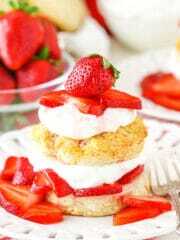 Hello love this recipe.. I am planning to make it for my husband’s 30th birthday. For the frosting it seems there is a lot, will there be extra after making the cake. I don’t want any leftovers. I didn’t have any leftovers, but I also use a fair amount of frosting. So it depends a little on how heavy you are with it. There could be some leftover. The cake batter was a little too runny because of the hot water. A lot of it escaped the tin. I had to make another layer. That time, I didn’t add the hot water. Instead, I subbed it with a small dash of milk. It rose better and didn’t run everywhere. Also, I lined the tray all around. On the other hand, the cake was delicious and moist. I just didn’t understand the need for the hot water. Next time, i would just not use the hot water and use the milk instead, and i would line the tray. Or, I would not use a loose based cake tin. Overall, this cake is very nice. MJ – the batter is meant to be thin and shouldn’t be used with a springform pan. Most springform pans leak, so that would be a problem. Whether using milk or water, it’s still just as thin. Glad you enjoyed the cake. Just finished making this for my grandmother’s 86th birthday tomorrow. She loves raspberries! Can’t wait to try it, it looks amazing ???????? Hi! If I wanted to make a 4 layer 6inch cake. Should I make the same amount of cake batter and cream?? I honestly haven’t really made any 6 inch cakes, so I’m not sure about amounts. Sorry! Could this be made in a bundt cake pan? I haven’t tried in a bundt pan, so I’m not sure how it would turn out. I would love to make this for my friends grandmothers birthday, but she wants Yellow or White cake instead of chocolate cake. Still wants the raspberry, chocolate ganache, and chocolate frosting. 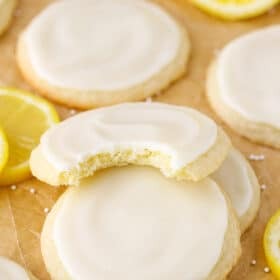 Which would you suggest, yellow cake or white cake with this recipe? Probably a preference thing and either would be fine. But you could try using this vanilla cake. I hope you all enjoy! Iam going to make this cake for my sons 24 th birthday i think he will love it it sounds delicious, but my reason for comment is I have a burning question What do you do with all these cakes after you make them for your blog are you and your family eating all the cakes everytime you bake one or do you give them away to family and friends? 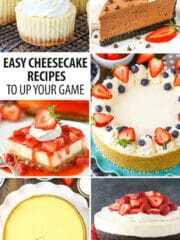 See I am concidering starting a blog too but i dont know if my family and friends will be able to eat cakes or sweets as often as i would need to meke them and blog about it. Do you have a bakery too? Thanks for all your super hard work and sharing your time with all of us you seem like an incredibly busy lady your family must appreciate the super woman that you are Stay sugar sweet Lindsey! I do give a lot of it away. But you’re right, it’s a lot of cake for people to eat. I do freeze some things to use later and unfortunately too much probably does get thrown away. I hope your son enjoys the cake! Oh my goodness!! Made this cake today, and I have to say it’s a new favorite. I’m not usually a complete recipe follower, followed this one and it was amazing!! Thank you for sharing! What an amazing cake! I make this cake last weekend for my son’s bday. Everyone loved it. I’m so glad everyone enjoyed! I don’t know if I missed it in the directions, but I didn’t see where it says to put buttercream in between the layers. I guess it’s assumed, but I was trying to follow the recipe very closely and it only said to put the ganache and the raspberries. I had to take the cake apart and add buttercream after the fact. It was a mess. The cake tasted good and I will know for next time. Also my layers were very thin, if I had time, I would have made a half batch to add another layer. 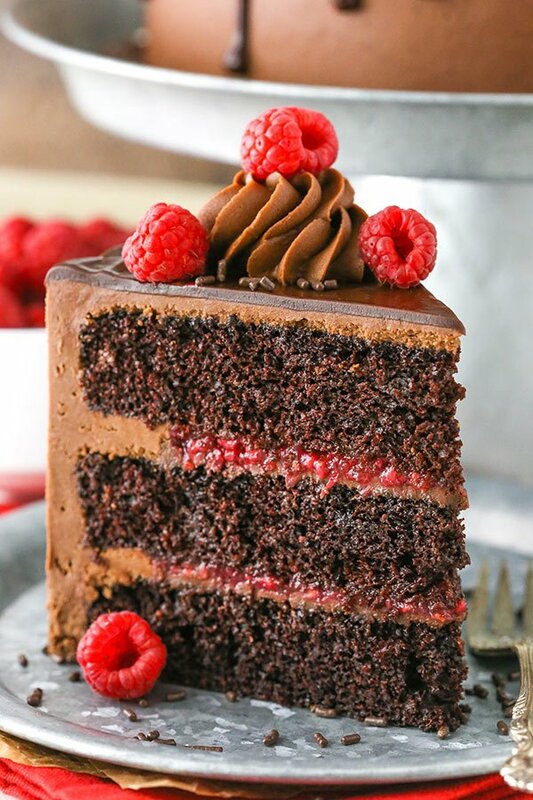 The frosting on the layers is from when you pip a dam on each layer of the cake before adding the chocolate and raspberry ganache in the center of the dam on each layer. I hope that helps! Hi! Just wondering what flour you would recommend to make this cake gluten free? Thanks! I haven’t used gluten free flour so I can’t really recommend which one to use. Sorry! Your sugar is twice your flour. Is that normal? Im going to cut my sugar quantity by half. I feel it would be too sweet. I always reduce my sugar by 50% and still i get a nice moist ans fluffy cake. Would I need to double the recipe if I want to do a sheet cake with 2 layers. Or would splitting just 1 layer work. Depends on how tall of a cake you want. This cake will make your average 9×13 inch cake. If you’re looking for a larger sheet cake, you might want to increase it. HI! 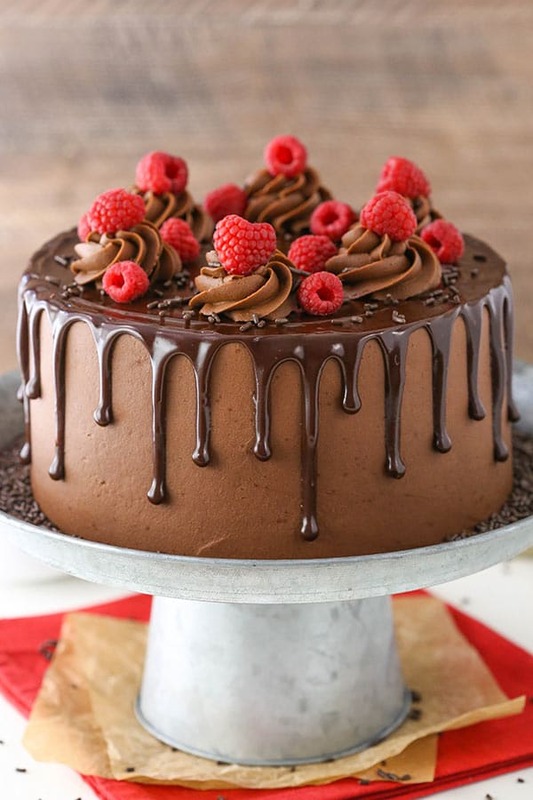 What did you use to drizzle the chocolate ganache off the top of the cake or what do you recommend to make it look that nice? I used a squeeze bottle. I think it gives you better control. This cake earned 5 starts for flavor. My cake turned out incredibly delicious. I made it for my brother’s 28th birthday and he said it was probably the most delicious cake he’s ever had. My cake also looked like a “mound” cake by the end of it. I have no idea how to make them look pretty. The cake itself was moist and delicious, but fell apart as I was trying to assemble it (I’m not sure how to combat this, I am a novice baker). Also, I don’t think I put enough frosting between the layers because I had so much extra to put on the outside. There was 1cm – 2cm thick frosting over the cake. I was using it to “glue” together the cake as it was falling apart. It was pretty comedic, and a delicious cake. Any advice for the novice baker? I’m glad it still tasted good. My first question would be if you leveled the cake layers? If the domes are left on, that can create an issue with weight distribution as you layer the cakes and add weight. I’m not sure, I’m sorry. UMM… MAYDAY! Where’s the recipe go???? My ingredients are all out and it disappeared! I panicked! I had it all measured out, luckily, so I winged it and it turned out! My boyfriend LOVED the look of it and will painstakingly make it through Friday until he tastes it! Raspberries are the perfect compliment to this cake. Two things I noted: 1. I think the extract was missing from the ingredients list but shown in the video. I used one teaspoon of vanilla and one of raspberry and it gave the chocolate the best flavor, not overpowering. 2. I learned by error that you have to slowly stir the gnache in order to prevent air bubbles that masquerade as unmelted bits of chocolate. So we’ve got air bubbles but I’m certain they will taste just fine. LOL! Sorry that had to happen with the site… Sigh, technology; its great when it works. The video is super helpful. So glad you enjoyed it and that it worked out! If I wanted to make these into cupcakes – how long would you cook them for and approximately how many would it make? Thanks! I’d bake them for around 18-20 minutes. It should make roughly 24 cupcakes. Can I use this recipe to make cupcakes? Any modifications needed? Yes, that should be fine. You might need more filling to fill all the cupcakes and might not need all the frosting, but I’m not totally sure without trying it.